I first remember hearing the term “biblical justice” with Venture. Of course, I had heard about justice itself many times before and I was familiar with various non-profits whose purposes were to establish justice for people. However, the act of justice is incomplete if it only strives to do good for others. Justice needs to be more than philanthropy; otherwise its influence is only temporary. Jesus quoted this at the beginning of his ministry, and because we, as Christians, are called to be imitators of Christ, then we are called to be advocates of biblical justice. The Gospel must be shared alongside acts of justice in order for an eternal impact to be made. This is biblical justice. This sounds harsh, but it is a reality. Biblical justice is the only way that ensures that both the physical needs and spiritual needs of others are met. In Thailand, there are two main outputs of biblical justice: the HOSEA Center and the feeding program along the Thai-Burmese border. The HOSEA Center is Venture’s human development foundation located about 10 miles outside of Chiang Mai. The center hosts an after-school program during the week for children to learn English, and on Saturdays, the volunteers at the center teach Bible lessons to the children. Education is one goal of the center, but more importantly is the goal of sharing the Gospel with every child that walks through its doors. By learning English, the children have greater job opportunities, which give them a brighter future. However, English-speaking skills will eventually simmer. It is the Gospel that will change the children’s lives by giving them hope for the future because, in Buddhism, hope is nonexistent. Buddhists are very individualistic, and they do things simply to gain merit towards a better life once they are reincarnated. The feeding program along the Thai-Burmese border is a project that Venture operates with FMSC (Feed My Starving Children). A ministry in a town near the border stores the packaged meals and then distributes them to a refugee camp six times each year. These meals provide physical nourishment to the refugees. Because the refugees do not have I.D. cards, they do not receive sufficient income. Sometimes feeding their family is a challenge, so the FMSC meals help with this. In addition to handing out FMSC meals, however, the program seeks to share the Gospel with the recipients of the meals as well. The ministry workers as well as short-term teams host services to share the Gospel with the refugees. It is so important that nourishment is spiritual as well as physical. If the Gospel is not being shared along with the distribution of food, then only physical hunger is relieved. The spiritual hunger still aches inside. Biblical justice is the reason that Venture Expeditions exists. 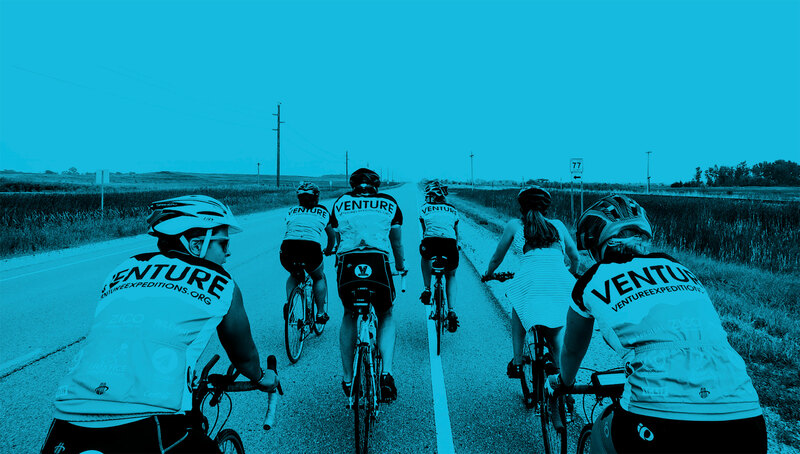 Venture doesn’t just help people for people’s sake, but they help people to glorify God. They want the kingdom of God to be established on earth, and in order to do this, injustice must be eliminated and the Gospel must be spread. Editors Note: This post was originally published in August of 2014 by former Venture intern, Rebekah Jacobson. It has been updated for accuracy and comprehensiveness.